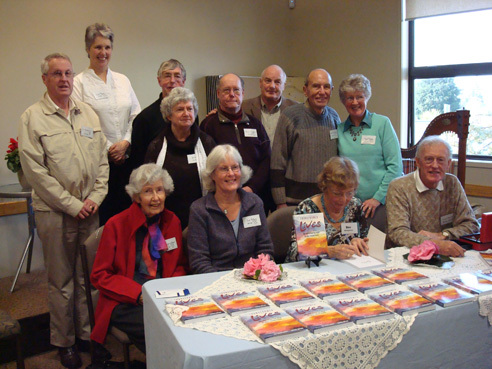 Backed up by the considerable talents of George Bryant, Bev Montgomery has compiled a superb collection of firsthand stories about what happened when the Charismatic Movement touched individual lives in the 1960s and 70s. At the time, the movement was controversial and exciting, and it transformed people and revolutionised Christianity. The Holy Spirit was at work, and thousands were never the same again. The legacy of the movement is a generation of believers who accomplished amazing things for God and established ministries which continue to impact the world. The book itself has been a labour of love for Bev Montgomery – the project started from a small idea and became something truly remarkable. Castle is honoured to have been a part of this project – helping to tell the story of the Charismatic Movement, to preserve some of its stories as a gift to posterity and the church, but more importantly to inspire a new generation of believers to embrace the call. Transformed Lives contains 19 firsthand stories by New Zealanders. You might recognise some of the names: David Cowie, Barry Austin, John Coyle, June Dooney, Brian Caughley, Dianne Milmine, Ian Garratt, Graham Braddock, Marjorie Claret, Janet Tillman, Eric Balderston, Margaret Thompson, Gerald and Gayel Paterson, Sue Pollard, Nick and Jean Oakden, Di Willis, Lyn Stanley and Bev Montgomery. The foreword is by Bruce Thompson, and the book is endorsed by Murray Robertson and John Dawson. Transformed Lives is available for ordering now! Book launches in Auckland Saturday 24 July and in Tauranga Saturday 31 July!